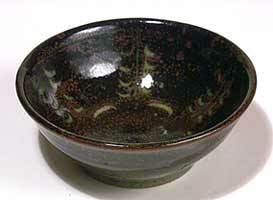 TW bowl - 5¼" (133 mm) diameter, 2⅛" (53 mm) high. This bowl is great for minestrone, but we don't know who made it. Take a look at the mark and see if you know.